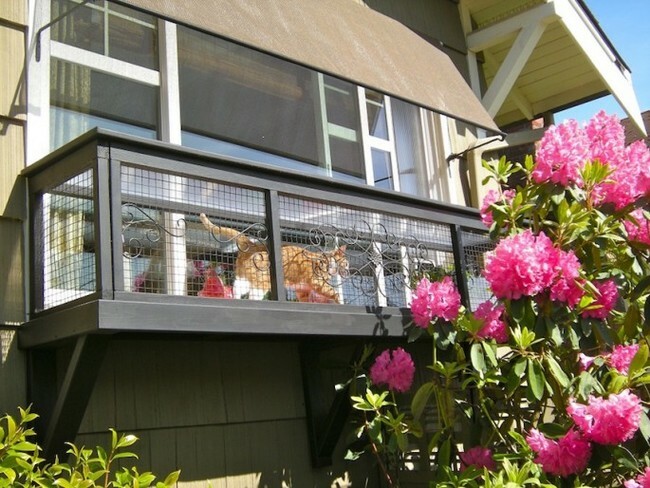 Forget the Patio, Get a Catio !! Have you been thinking about adding a patio to your living space? Do you have cat(s) that live indoors? Well, forget building a patio and get a catio! 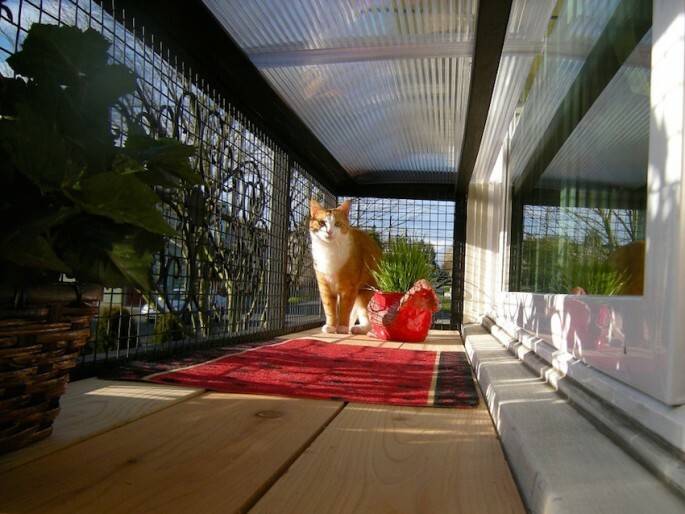 This great idea is the latest thing doing the rounds in the cat world and is perfect for those indoor kitties to get a chance to feel what life outside is like. 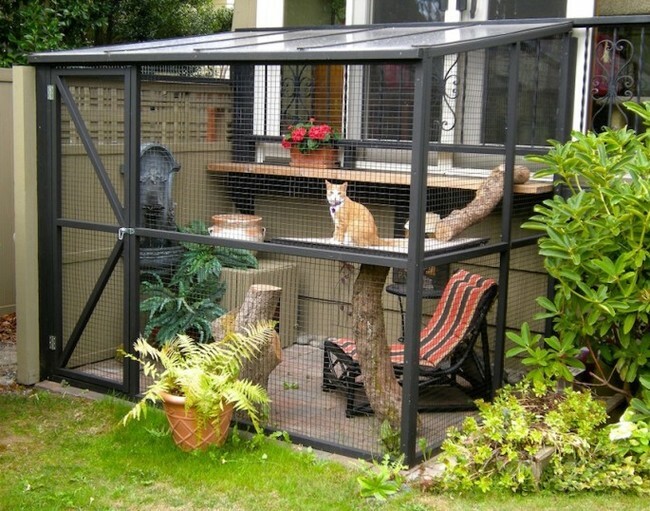 So for those of you that have indoor cats, this is the perfect solution where you and your kitties can spend some quality time together. 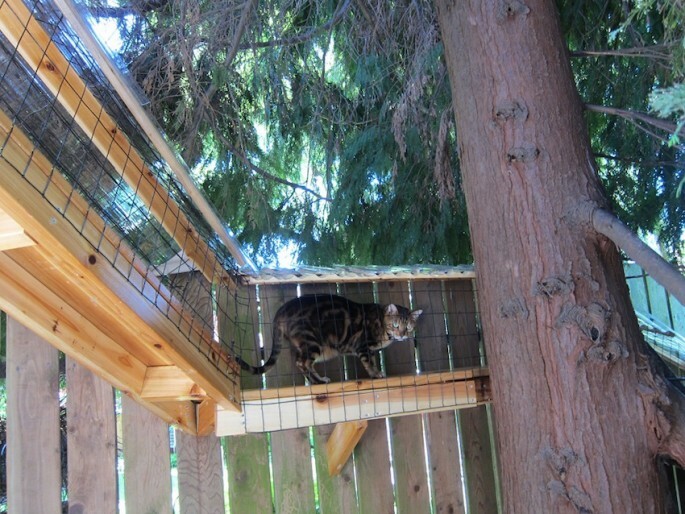 Although my cats spend a lot of time outdoors, we live in the country and are surrounded by fields, I can totally see the benefit of having a catio if you live in a built up area because there are many dangers out there and they can get into all sorts of trouble. So why not give your cat a chance to experience what life is like on the outside. They can of course come in many shapes and forms, depending on your budget, where you live and whether you buy a ready made or decide to build your own. Even if you have limited space you can design or buy something to suit, there are many on the market that can be attached to a window or door. 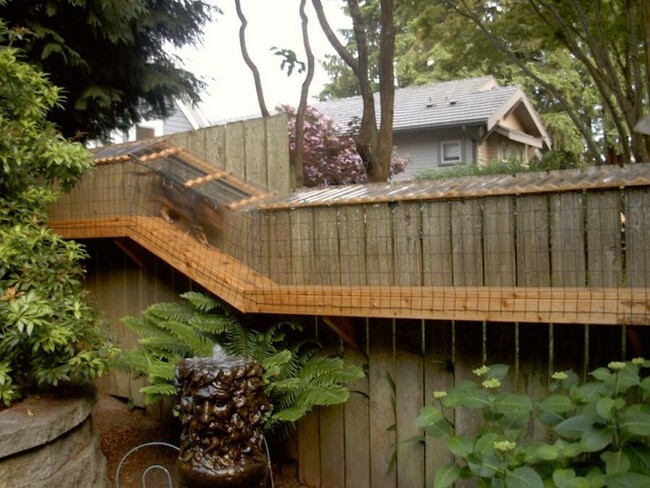 Some catios even include catwalks that let your feline friends run along fences, which is great for the cat that likes to explore. And there even some that can be fitted to an elevated space……. 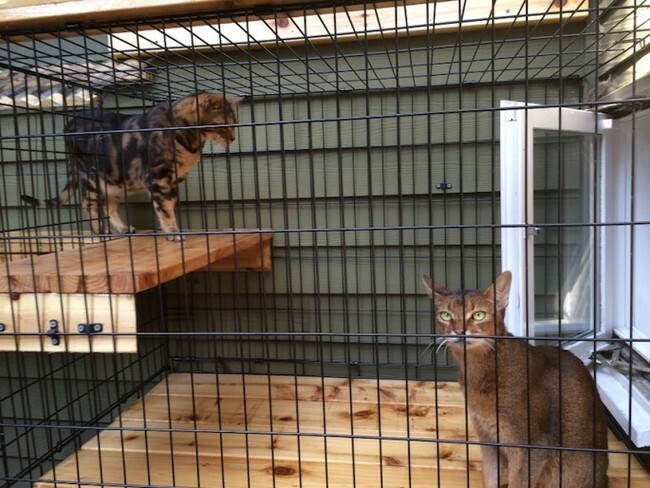 Catio Spaces offer a wide range of models and for the DIY enthusiast they also sell a selection of plans so you can build your own and customize it to suit your needs. 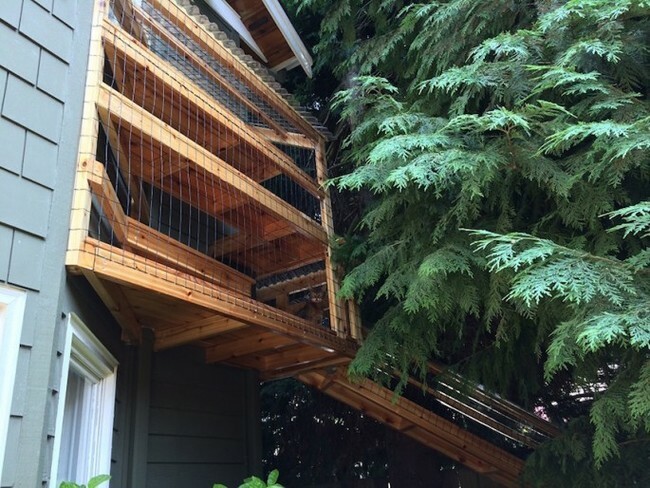 You can of course design and build your own catio, the possibilities are endless! 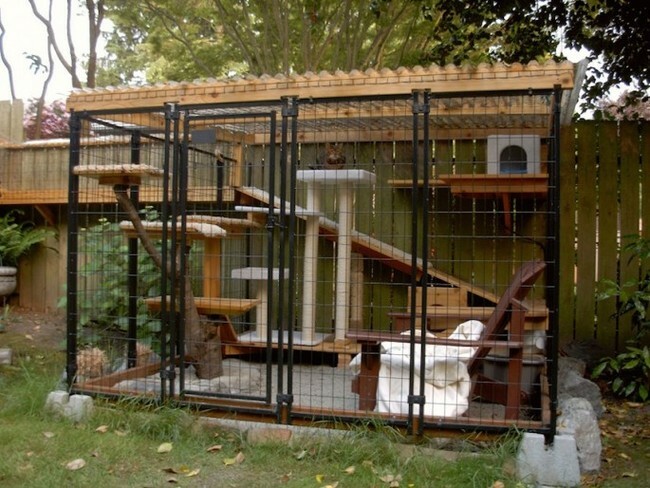 Which ever you decide, this great idea is sure enrich the lives of you and your kitty. 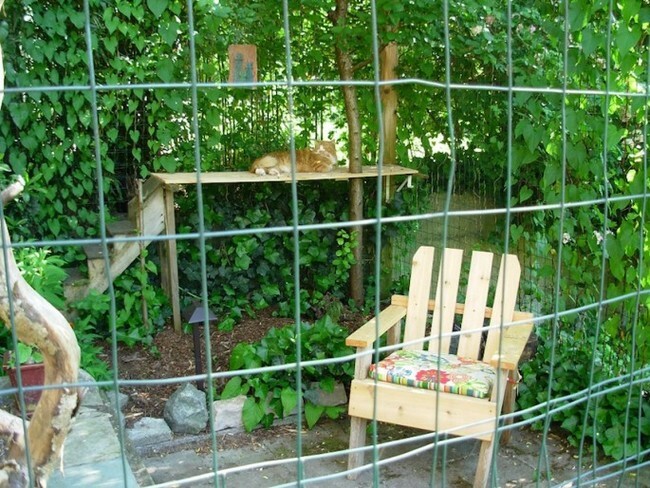 Click here to see the ultimate indoor cat playland!